I’m so excited to be back for a visit at the Steampunk at Coffee Time Romance and More blog. I’m here today to share news about the latest release in my Steampunk Fairy Tale world. 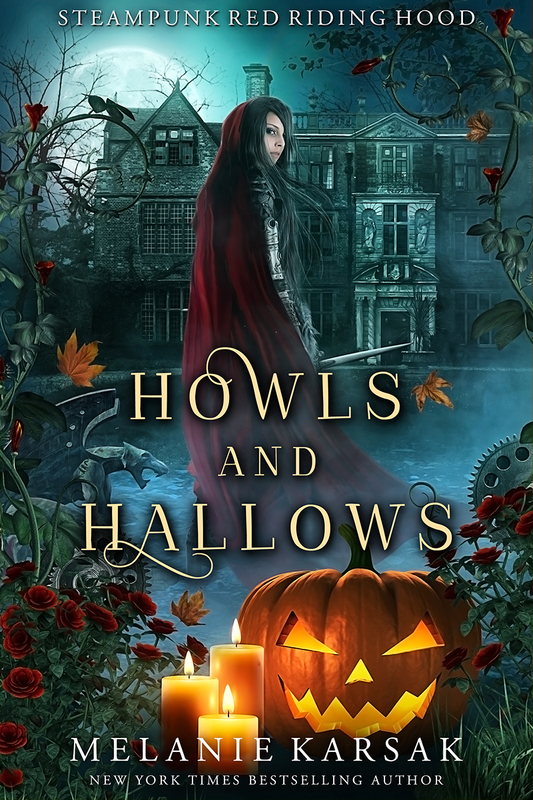 Howls and Hallows is part of the Steampunk Red Riding Hood series. In this series, Agent Clemeny Louvel, aka Little Red, works for Her Majesty’s Red Cape Society. 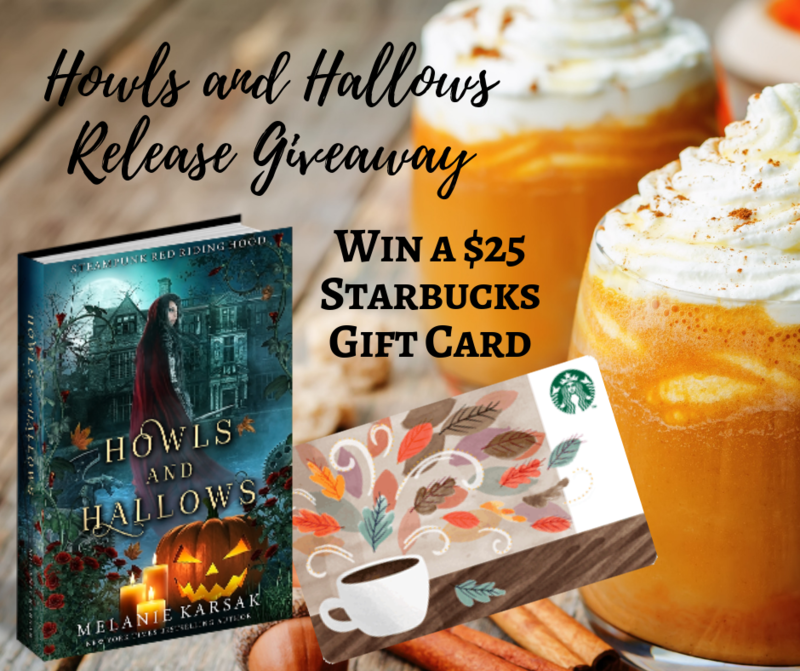 Her job is to police the werewolves living in Victorian London. This Little Red Riding Hood is definitely not afraid of the werewolves of London. In this recent release, Clemeny is sent to investigate a haunting at Cabell Manor. Something is howling on the moor, but it may not be what Clemeny thinks! My steampunk fairy tales are a fun new twist on fairy tale classics. All my fairy tale heroines, Isabelle (Beauty), Elyse (Elsa), Rapunzel, Alice (Alice in Wonderland), Clemeny, and more exist in my steampunk world. In this twist, the supernatural are alive and well in gaslamp England, and each of my heroines has a brush with the unknown. To celebrate the release of Howls and Hallows, I have a Starbucks Gift Card giveaway going on this month. You can enter it by clicking the image below. Best wishes!